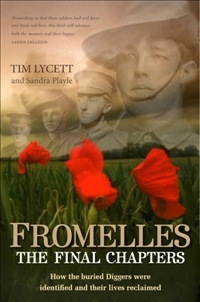 Fromelles: the Final Chapters was written by police officer Tim Lycett and genealogist Sandra Playle, and published by Penguin in 2013. On 19th July 1916 Australian lads "went over the top" in Fromelles where the German machine guns decimated their ranks - 5533 young men were killed or wounded in this part of Northern France. Yet until the dedication in 2008 of a statue at Melbourne’s Shrine of Remembrance, the name Fromelles did not appear on any memorial on Australian soil. The authors stressed that the concept of Fromelles being a battle in its own right was carefully avoided by the military auth­orities, presumably to downplay its devastating outcome and to raise the moral of troops abroad and of the parents at home. 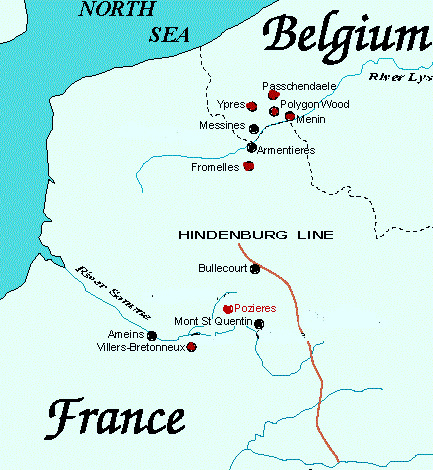 Even Aust­ral­ians very familiar with the Western Front, including Lone Pine, Passchendaele and Villers Bretonneux, did not know of Fromelles. I looked at my normal atlas and could not find these small towns in Northern France and Southern Belgium. If this excellent book is reprinted, I suggest that the Western Front be carefully mapped by Lycett and Playle. Of the lads who died in the Australian trenches in France, most were indent­if­ied and buried in battlefield cemeteries with respectful headstones. But the vast majority of Australians who died in the Fromelles battle did so either in no-man’s-land or behind German lines. Even if their bodies could be recovered, they could not be identified and their parents, siblings and girlfriends would never known what happened to their beloved soldiers. The only information available to families was a stone memorial wall, built by the Imperial War Graves Commission with 1299 names of Australians unaccounted for. Families at home were told their sons could be missing, captured by the Germans, in a hospital somewhere or perhaps dead. And in any case, by 1923 the search for British Empire soldiers in the mass, unmarked graves had stopped. In 2002, when the grandchildren of the WW1 soldier were themselves in their 60s, pressure on the government started up again to identify the bodies of 410 young men buried at a Fromelles site called Pheasant Wood. 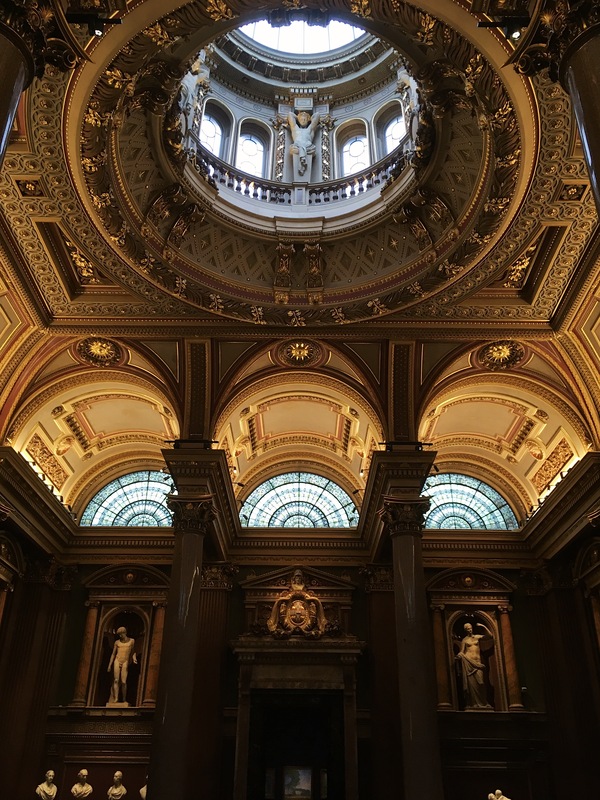 In June 2005 the government finally convened a Panel of Investigation. Careful digging started apace in the mass graves in France in June 2008. Red Cross documentation was examined, whenever it was available. And at home, the researchers prepared family trees for the soldiers, in order to identify descendants who could be used in DNA tests. It was not easy since so many teenage soldiers died before they could marry and have children of their own. So newspaper articles from 1916 were scoured, as were soldiers' letters and records from town hall farewell ceremonies. Historians went to Bavaria to search for German military records that dealt with dead Australian soldiers in France. The dead ends were relentless, the falsified names were confusing and the need for confidentiality was sometimes overwhelming. But the work was successful. Eventually. 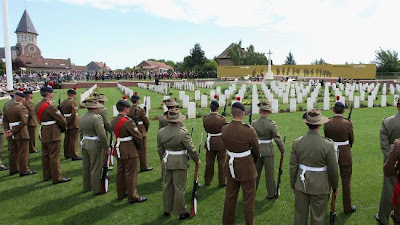 The new Fromelles (Pheasant Wood) Mil­it­ary Cemetery, dedicated in 2010. WW1 had a devastating impact on Australia, for the soldiers who fought and also for their families and loved ones at home. 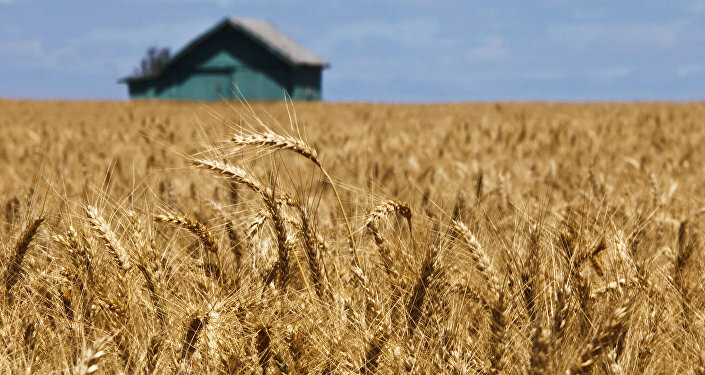 It devastated the rural economy, overwhelmed health care services and housing, and greatly reduced young women’s chances of finding a spouse. But this Fromelles project at least brought peace to some families. At the time of writing, 124 soldiers’ bodies had been identified, all of them Australians. The dedication ceremony of the new Fromelles (Pheasant Wood) Mil­it­ary Cemetery took place in July 2010 in the presence of the Aust­ralian Governor General. Every headstone has been personally identified and carved with respect. I've never taken the time to see where these places were exactly. Had it have really been the war to end all wars, maybe the lives sacrificed would not have been so bad but as we know it wasn't. It's a very nice book cover. I am looking for blogs about the ANZAC story in the First world War. Thank you for yours. Do you know of others. I thought I was going to be reading about the scientific process of locating the bodies and tracing the family DNA to finally identify the lads. So I didn't expect individual soldiers' biographies. But as it turned out, the biographies were the best way to make the young men real. Not just a name on a board in a remote Anglican church in Swan Hill. in one way it is tragic that it took almost 100 years to get these poor lads into consecrated ground. The pain for the parents, siblings, widows and orphans was unforgivable. On the other hand, once the serious physical work started in 2008 it only took a relatively short time to dedicate the new Fromelles Cemetery. 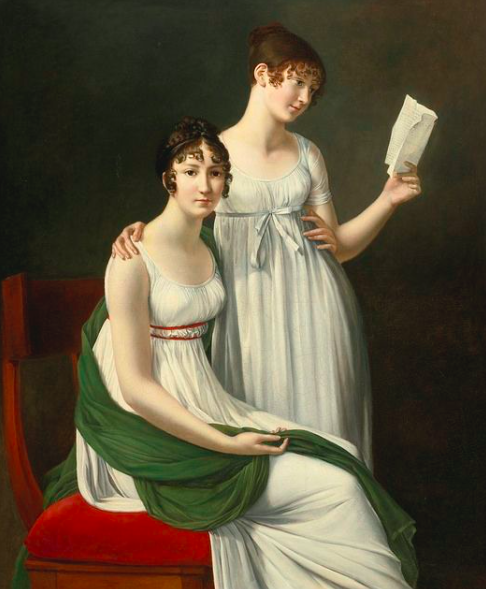 Perhaps we simply had to wait until sophisticated DNA testing made the project possible. Which aspect of WW1 are you most interested in?